Our airport is located approximately 10 km from the city center, in the north west. On average it takes 30 minutes to 1 hour drive, depending on your choice of transportation and traffic jam. Below is a list of airport accredited transportation services to get to the city. For more information you can go to our transportation information counter at arrival terminal. There you can get a ticket as well as more information. The bus network is quite recent in Cambodia and developing. It is the only public transportation and also the cheapest way to explore the city. The bus fare is KHR 1500 (which is around USD 0.40). You pay every time you hop in the bus (therefore, every time you change bus). A « tuk tuk » is actually a carriage pulled by a motorcycle. It is the most widespread means of transportation nationwide and probably the handiest one. 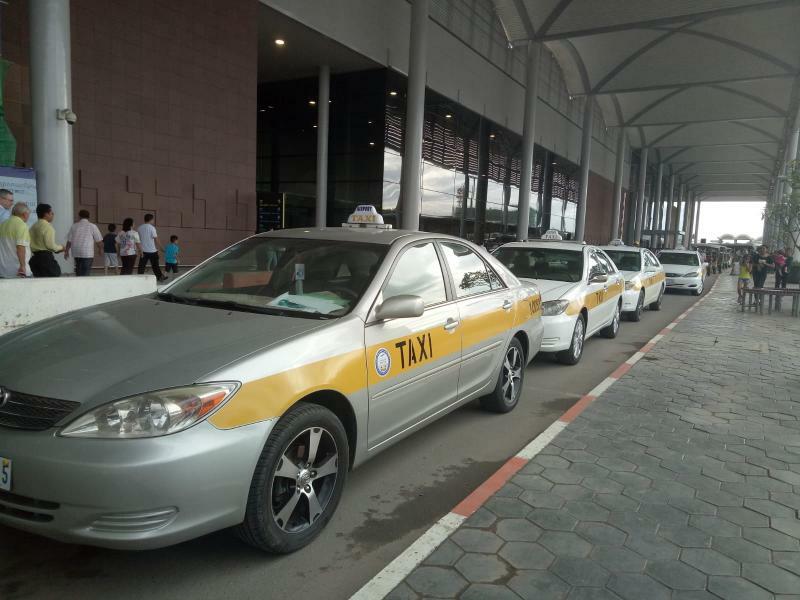 You can hail a tuk tuk anywhere in the street but we recommend you the airport tuk tuk as the fare is already set and you will not need to negotiate.